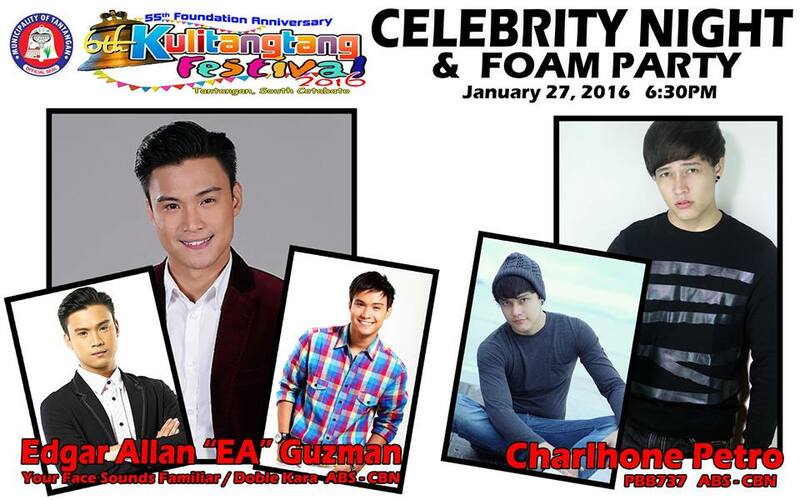 Actor and Your Face Sounds Familiar Season 1 4th Runner-up Edgar Allan Guzman will be in Tantangan tonight for the celebrity concert and foam party in line with the celebration of this year's Kulitangtang Festival and 55th Foundation Anniversary of the Municipality of Tantangan. EA Guzman will be joined by former PBB 737 housemate Charlhone Petro. Happy 6th Kulitangtang Festival & 55th Foundation Anniversary Tantangan!